February is Black History Month, so seeing Vida Goldman Prince the other night was especially fitting. 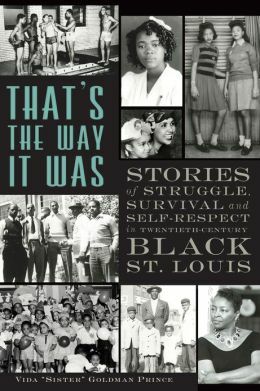 She introduced her brand new book, That’s The Way It Was: Stories of Struggles, Survival and Self-Respect in Twentieth-Century Black St. Louis. She was proud of her 30-year undertaking, but more proud of the black interviewees who opened their hearts to her, a white Jewish stranger, and told her what it was like to live in segregated St. Louis in the first half of the 1900s. Each chapter of the book is a different person’s stories. In 1987, Vita Prince interviewed Marian O’Fallon Oldham, a civil rights activist, who attended a Missouri Historical Society exhibit called “I, Too, Sing America: Black St. Louisans in the 1940s.” Prince wanted to dig deeper into Oldham’s statement of how “our parents went ahead with life and made something out of themselves and their children…despite the real outside world.” She wanted to know what was it like for black people to live in this real outside world, what did the children think and what did their parents have to say about this world. Ms. Prince interviewed 24 people and then struggled for years to find a publisher interested in capturing these historical, personal perspectives of segregation in St. Louis, the “most southern city in the north.” Finally, The History Press came to the rescue. 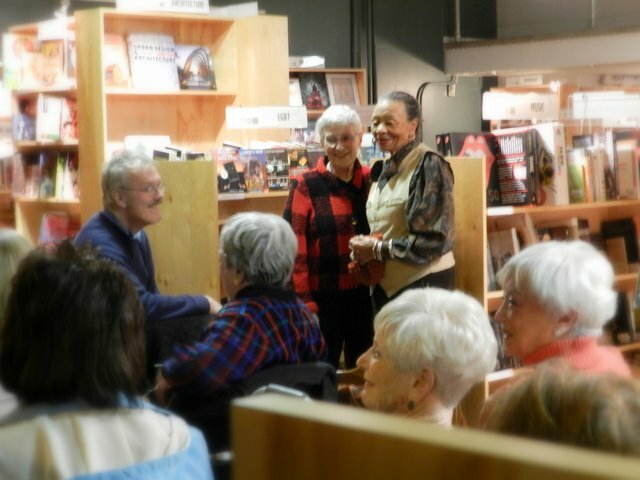 Stella Bouie, who as a child had banana curls and wanted to be Shirley Temple, stood up to introduce herself at the book event. Bouie had worked as an elevator girl for a local department store and was promoted to display coordinator. She still remembers all the places she wasn’t allowed to eat at. She said she enjoyed every moment of the interviews and that Vida asked questions nobody else ever asked. Ms. Prince said the time must have been right to tell the stories, and no one she interviewed ever asked why she was doing the project. Edna McKinney said Grand Avenue was a dividing line in the city then between poor blacks and the professional blacks allowed to live in a pocket to the west. Blacks coming up from the South were another class of people, and their cooking was different and their stories were fearful. She said there was prejudice even amongst the black people based on where they lived, where they were from, how much money they made. St. Louis blacks resented the southern blacks coming in and competing for jobs. This sounds like the way white people can behave, too. The interviews are edited but seem barely so because the voices shine through. In the introduction, Ms. Prince says Salimah Jones told her in an interview that her father talked about black history but “the last thing he wanted was for somebody white to write his history.” Prince replied, “You mean like I’m trying to do? But this history is going to be in your words.” Yes, I can hear Stella, Richard, Edna, and others talking. I hear them telling me their stories, and I’m listening. Ms. Prince hopes high school and university libraries will be interested, and I hope so, too. See the post on Sugar Hill: Where the Sun Rose Over Harlem for a personal perspective on growing up in Harlem in the 1950s-60s. This entry was posted in book talk, heritage, history, multicultural and tagged African-American, book talk, culture and heritage. Bookmark the permalink.